Microsoft also released Windows 10 update KB4022715 (Build 14393.1358) for PCs. Check out what’s fixed in the latest Mobile build 14393.1358 update. Fixed an issue where users cannot print enhanced metafiles (EMF) or documents containing bitmaps rendered out of bounds using the BitMapSection(DIBSection) function. Windows 10 Mobile build 10.0.14393.1358 an issue where Cluster health service fails to report fault event to MAS HM component. Addressed issue where the end-user-defined characters (EUDCs) is not displayed. In addition, the company also released mobile build 15063.414 for Creator Update users. 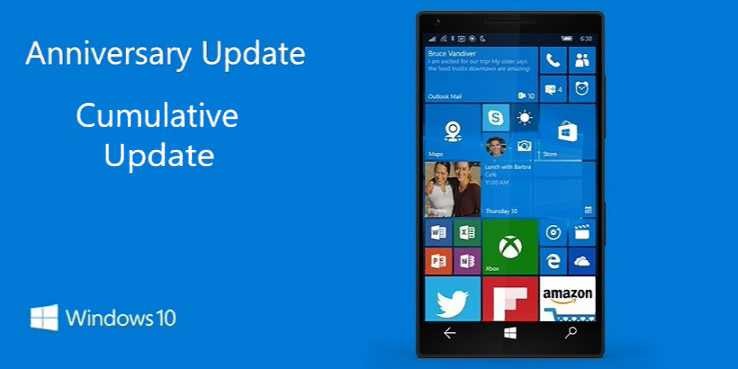 Download the latest Windows 10 Mobile build 10.0.14393.1358 and see how it performs.